Amazon is in the process of selecting the location for HQ2, and a decision is expected by the end of this year. Multiple cities bid on the headquarters, offering incentives to entice Amazon to select their location. 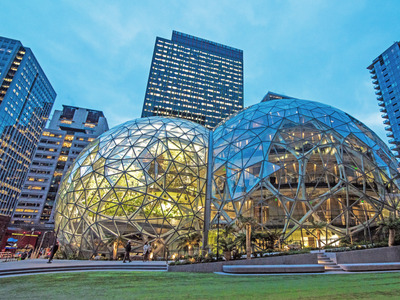 Amihai Glazer, an economics professor at the University of California, Irvine, argues that deciding where to choose HQ2 based on incentives is actually a bad idea. He shares four reasons why, based on historical information and his own studies. Amazon, you are in the process of choosing the site for your second headquarters, with promises of up to 50,000 jobs and $US5 billion investments. Not surprisingly, cities are eager to attract you, and are offering large incentives – Maryland offers $US8.5 billion in tax and infrastructure incentives, and Newark $US7 billion. But as an economics professor, I’m here warn you to give little weight to the incentives in your decision. First, politics can turn on a company that voters view as greedy. And often public support for subsidies is weak. For example, a study of bond issues for construction of big entertainment amenities showed voter support below 44%, far less than the roughly 70% support for water and sewer systems. The problem can be especially severe if the incentives have not received popular support. In cities such as Miami, Austin, and Atlanta, the offers have never been made public. A member of the Indianapolis City-County Council says that he has been told absolutely nothing about the financial incentives his city offered. Second, even if a company chooses one city over another because of the incentives, it may not identify the city where it would best thrive. In a recent statistical analysis for a forthcoming study, I collected data on 82 firms that invested in new plants and factories from 1982 to 1993, I found that plants in states that offered higher tax incentives were, if anything, a little less likely to survive within 17 years after establishment. Third, earlier high-profile attempts to attract a new facility show that they can fail. In the 1970s, the first automobile assembly plant in the United States by a foreign car maker, Volkswagen, gave states the expectation that as many as around 20,000 jobs would be created. To attract the factory, Pennsylvania provided incentives of about $US75 million. The state also spent $30 million on infrastructure, and local governments granted five-year property tax breaks. But the Volkswagen plant never hired anywhere near 20,000 people – the peak was under 6,000 jobs – and by 1984, employment dropped to 1,500. The plant shut down in 1988. Fourth, you should worry about why one city is offering larger incentives than others are. Is it because the city leaders are desperate, thinking that they can’t attract other businesses? Is it because they miscalculate the benefits of the new headquarters, suggesting the same leaders will make serious mistakes in running the city? That could really hurt you. Or, is it that a city which thinks it can renege is willing to offer the largest incentives? Or is the problem corruption? Evidence indicates that increasing the rate at which government officials are convicted of federal corruption crimes is associated with a greater chance that a community will offer business incentives. All in all, it may be best for your bottom line by ignoring financial incentives. Amihai Glazer is a Professor of economics and Director of the Program in Corporate Welfare at the University of California, Irvine.